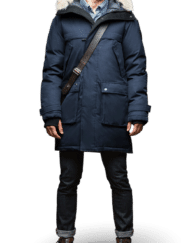 This stylish urban piece is similar to the Chateau parka, but is slightly longer for greater leg protection. 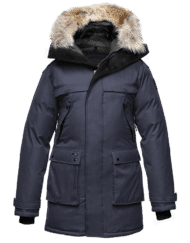 With a storm flap over the centre front zipper and two interior pockets, the Langford offers clean lines and a modern look – all in all an uncompromising parka. Brilliant parka, lightweight, very warm and looks great in navy. WSlackandsons was a pleasure to deal with! Super fast delivery, items well packed, questions answered almost instantly. Highly recommended! I would just like to say ignoring the quality of the parka for a minute. (The quality is highly impressive, and on a recent Scotland trip it was almost to warm) The Service that you receive from John is truly first class. I would highly recommend purchasing from W Slack and Sons.